"You'd think on a single ferry there's only room for so many crooks to be running the business." In The Botch Is Back, we return to the chaotic bluffing-lying-hurting playstyle of The Botch, but with a Canadian flair. The ferry between Seattle and Vancouver is a perfect place for white collar crimes to take a quick breather, for big deals and small crimes to go unnoticed. It's also a perfect place for knuckle-busting blue-collar good-natured crooks to try and get their end in, hauling booze or maple syrup across the border. You get bad folk in closed spaces trying to get their own in, and what can possibly go wrong? Meant to evoke those chaotic crime movies where everything's going wrong, The Botch Is Back is a party game of hidden information and ridiculous messes. It's a game about bluffing and nerve, about pulling off a con, and about grabbing the jewels and running. In The Botch, you're going to lie, cheat and steal, and if you're really lucky you'll get out of this with your skin intact. 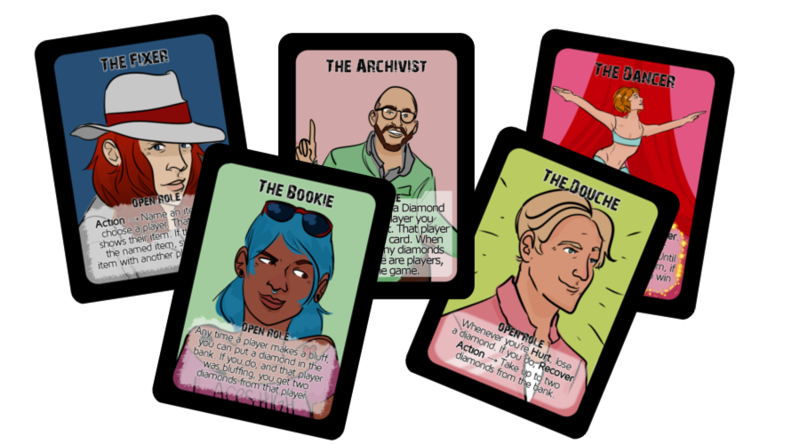 The Botch Is Back is a hidden-information bluffing game designed to keep things reasonably chaotic and make it hard for players to get an overwhelming edge through experience and memorisation. It's a game to get people into gaming, where things going embarassingly wrong is part of the design. 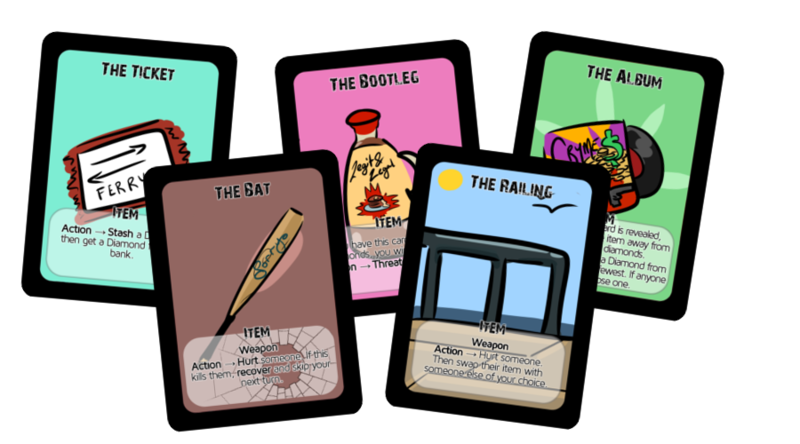 The Botch Is Back contains 5 Basic roles and 5 Basic items, which are designed to be played as an entry-level stable game. As you become more comfortable with the game you can add more roles and more items, choosing from an additional 7 Advanced roles and 7 Advanced items. The Botch Is Back is an expandalone for The Botch. Cards in both games are compatible with one another, and can be mixed and matched. You don't need The Botch to play this game, nor does that game require this one. The Botch Is Back is designed to be played with a way to track Diamonds and Damage. There's a supplemental product (sold here) if you'd like to have all those things as cards, together at once - but in order to make shipping cheaper and to minimise asking you, this product is only the twelve Role and Item cards. This title was added to our catalog on June 19, 2016.